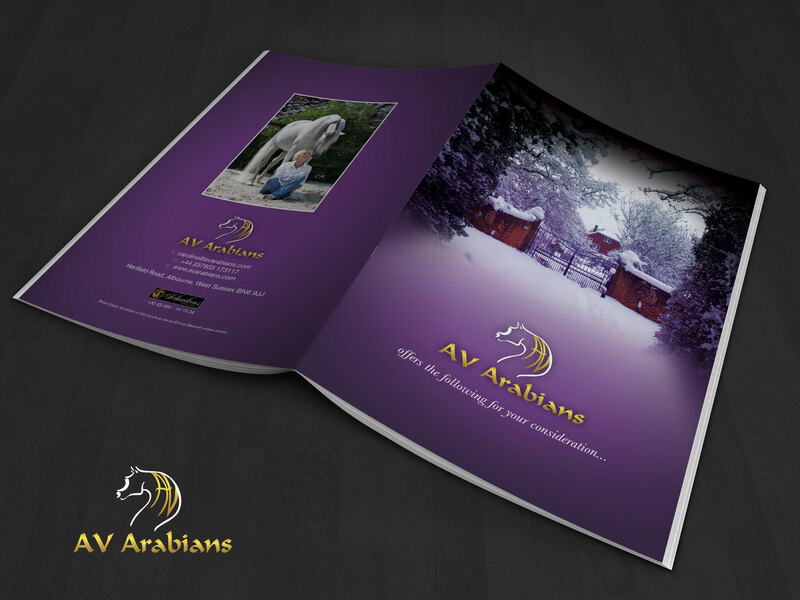 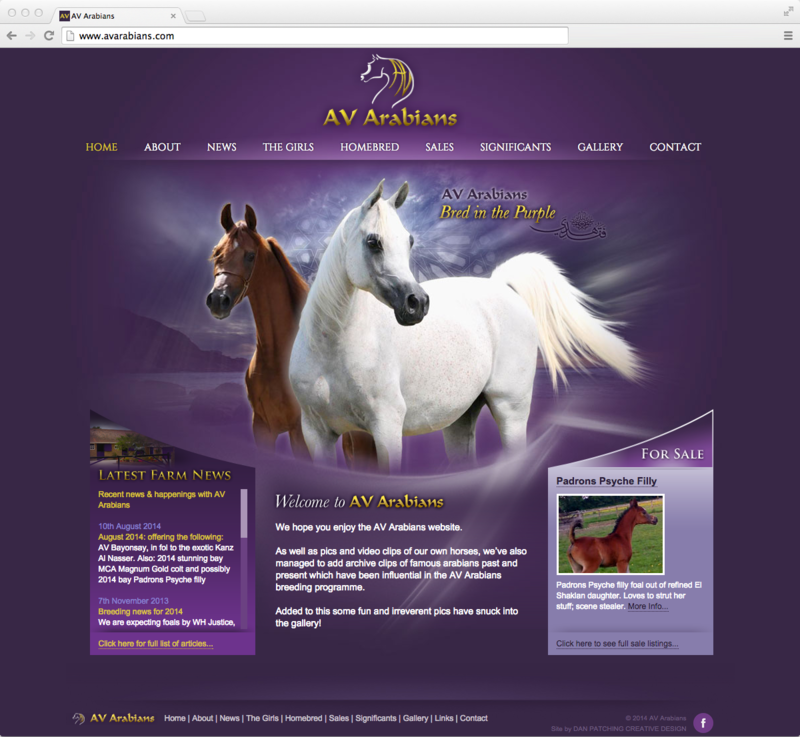 AV Arabians is a stable in West Sussex which runs a breeding programme for the very distinctive Arabian horse. 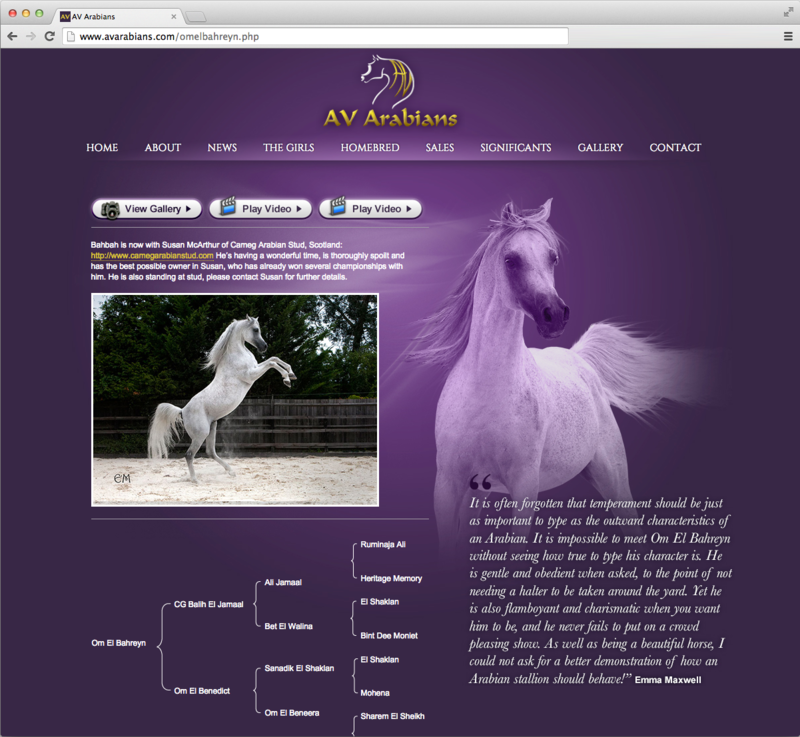 The owner requested a site that not only conveyed the majesty and elegance of this breed but also reflected her own personality (hence the purple). 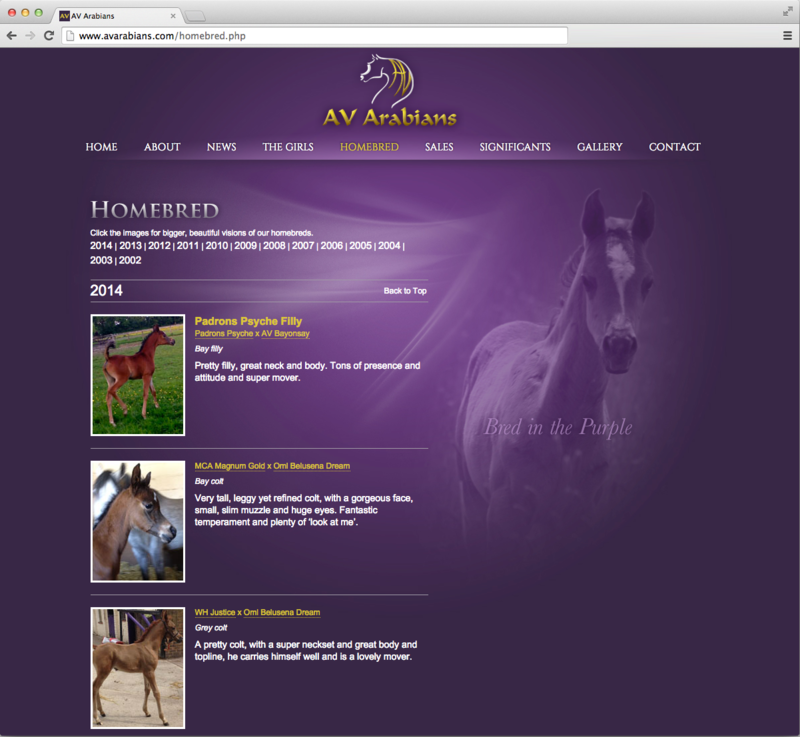 The site had to not only index the stock of horses effectively but also provide extensive detail on bloodlines, video footage and galleries.